At 13 years old, Joey Fatone and his family moved from Brooklyn, New York to Orlando, Florida. Orlando is home to Walt Disney World, but many don’t know that it is also where NSYNC was formed. Joey was one of the five members of NSYNC, who performed their first show at Pleasure Island in Downtown Disney (now Disney Springs) on October 22, 1995. Today, he is still a massive fan of the Disney parks, especially Walt Disney World. Joey was the host of the 2007 Walt Disney World Christmas Day Parade, which is filmed in the Magic Kingdom. Still living in Orlando allows him to be a regular to the parks. The top two contenders are notoriously giant Disney park fans, and I almost couldn’t choose between the two, but coming in just slightly behind the number one spot in John Stamos. Not only is John a Disney parks nerd, he is also a collector of Disney parks memorabilia. Not just any memorabilia, but he actually owns an old Disneyland sign that he bought at an auction for $30,700 dollars! In addition to the Disneyland sign, he also owns an actual seat from the Dumbo attraction, a devil from Mr. Toad’s Wild Ride, a Grumpy ride vehicle from Snow White’s Scary Adventures, and apparently much more. 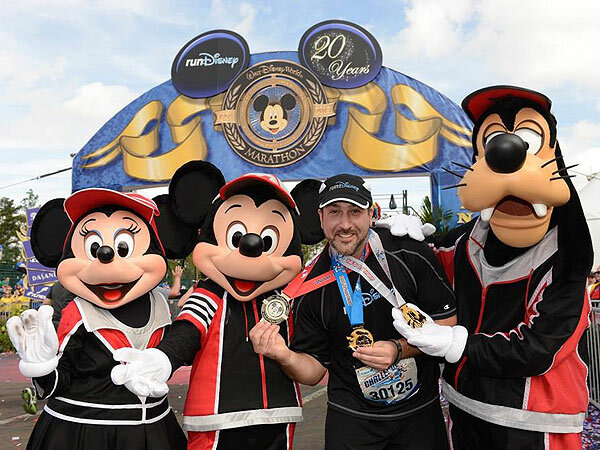 John grew up in Cypress, California, which is only about 20 minutes away from Disneyland, and he has said going to Disneyland from such a young age is what got him addicted. His Disneyana collection is so impressive that Michael Jackson (who also was a huge Disney fan) once invited him to Disneyland. 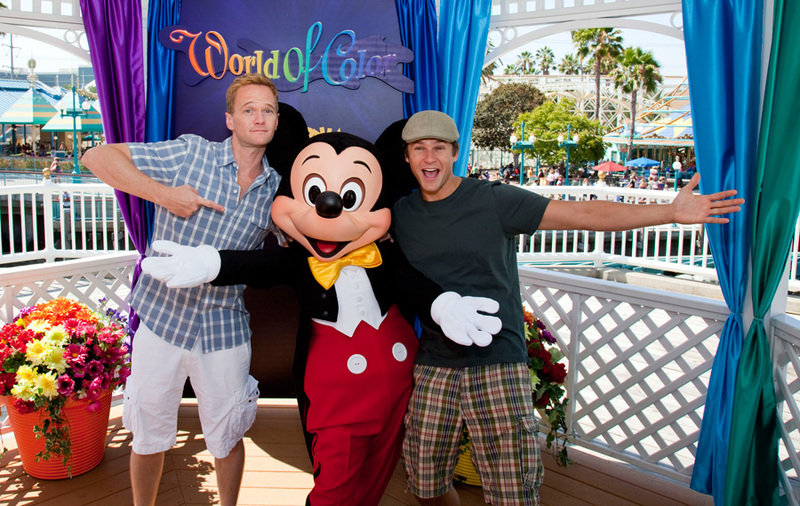 Whenever Disney needs a celebrity spokesperson, it seems that Neil Patrick Harris is there ready to help. Every year, Epcot holds a Candlelight Processional, and for several years, Neil has narrated at least one night of the event. As a fan favorite, his Candlelight Processional performances fill up quickly and attract extremely long lines. You might recognize Neil from World of Color – Celebrate!, the special 60th anniversary edition of World of Color, the nightly show at Disney California Adventure. You also can hear his voice in Disney California Adventure as the narrator for California Screamin’. In addition to all of that, he also was the host for the 2013 Christmas Day Parade at the Magic Kingdom at Walt Disney World.